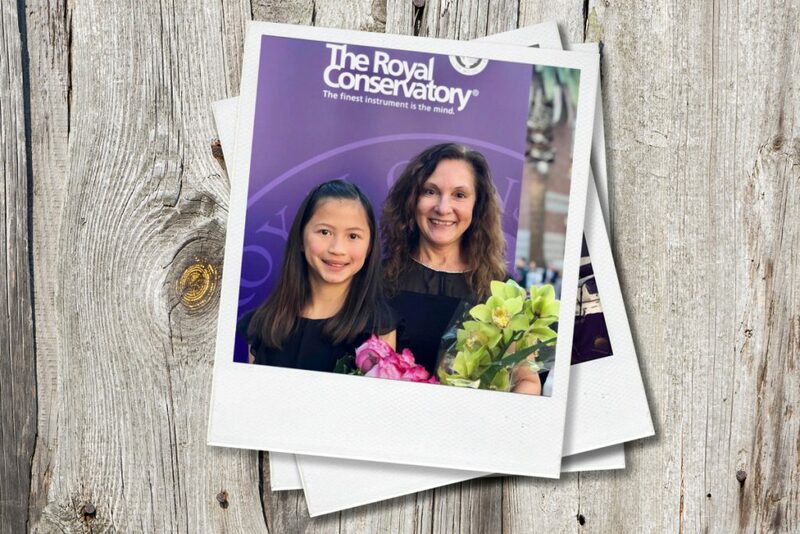 In this article, you will meet 11-year-old Erica Chan, her mother, Mrs. Chang, and Erica’s teacher at Little School of Music, Ms. Jean. Erica’s incredible dedication, passion for music and her positive approach to life are inspiring to all. Erica, please tell us about your journey with Little School of Music. How did it begin and how did you get to where you are today? Mrs. Chang, you must be very proud of Erica. Please tell us about your involvement in terms of supporting Erica throughout her journey with music. MRS. CHANG: We’re all very proud of Erica. She’s the one doing all the hard work and we are just here to support her! My husband and I encourage our kids to make their own choices and take responsibility for them. Of course our LSM (Little School of Music) family has been extremely supportive as well. The environment here is great and everyone from Ms. Mindy to Ms. Jean, are kind and encouraging. It’s a great place for young learners. Erica has even told friends in school that she is very lucky because her music teacher is so patient and makes learning fun. Ms. Jean, you must be very proud of Erica as well! Please tell us how you see yourself as a key influencer and role model in terms of Erica’s success with learning music. MS. JEAN: Erica is an exceptional student and she puts her heart into learning and wanting to succeed. She is such a hard worker. I see a lot of myself in Erica. She takes to heart what I teach and will try over and over until it’s perfect. I have high expectations because I know what my students can achieve. I try to guide them so that they discover their own potential and I work extra hard on being the best teacher I know I can be for them. Erica, what are your most memorable moments and achievements from Little School of Music? ERICA: I had so much fun in the Music for Little Mozarts program. Those are great memories. This year I was actually awarded Student of the Year at Little School of Music. I also received the Center Certificate of Excellence award for my RCM (Royal Conservatory of Music) Flute Level 2 Assessment. That gave me the opportunity to perform at the Royal Conservatory of Music Festival of Excellence Honors Recital at the USC Thornton School of Music. At first, I was a little nervous, but as I started performing, I realized that I really enjoyed it and even volunteered to do more recitals! Mrs. Chang, what inspires you the most about watching Erica progress with music? MRS. CHANG: Erica has grown so much, particularly as a performer. When Erica first started taking private lessons with Ms. Jean, she was very shy, didn’t feel comfortable playing in front of an audience, and didn’t want to sign up for recitals. As she progressed in the music program, her confidence grew tremendously. Doing well on the RCM assessments gives her a sense of accomplishment. Now, she signs up for recitals, auditions, and looks forward to performances. In fact, last year, Erica auditioned and was selected as a featured artist to represent her school district. She performed in front of hundreds of people at the Spring Concert. I was nervous for her but she loved it! Her growth has really carried over into her schooling; she’s even the Student Council Treasurer. What a difference music has made in her life! Erica, how much do you practice at home and what do you do personally that helps you to get to each next level? ERICA: I try to practice every day for at least forty-five minutes on each instrument. I try my best to stay patient, go through it again and again, and take breaks when I need to. Mrs. Chang, do you ever have to remind Erica to practice? What are some ways you encourage Erica while keeping music fun and inspiring for her? MRS. CHANG: Erica has always been self-motivated and practicing has become a part of her daily routine. On days when she seems tired or distracted, I actually encourage her to take a break. I remind her that it’s not meaningful if she is not being productive and I would rather her use her time and energy on something else in those circumstances. We never force her to do anything; practice has always been on her own accord because she wants to get better for herself. Ms. Jean, is it common for students to want to practice on their own? In general, what can parents expect from their children when it comes to practice? MS. JEAN: There are students like Erica that have self-motivation and a goal of their own, but many young students need a reminder from their mom or dad until they get into the habit of sitting down with their instrument to play. Beginning students are just learning sound production or tone control. They will be learning basic technique and form (how to hold their instrument, their fingers, their body, etc. ), and won’t be spending much time playing a lot of songs yet. I have my students begin their lessons with technical work and it takes up a bulk of their lesson in the beginning stages. Then, and only then, do we add a song or two, because until they have a good foundation of the basics, it’s not going to sound too pleasant! Just about anyone who hears Erica perform will say she has a wonderful tone, and that started with mastering the basics. Once that is accomplished, the fun begins and more and more pieces are learned until both the student and their parents are enjoying lovely music together! Ms. Jean, are there any tips and tricks you can offer parents and students that will help students succeed in a music program? MS. JEAN: It’s important for students to follow their teacher’s notes and suggestions on what to practice. The first year is the most important in terms of success with an instrument. It’s very helpful if the parents ask, “Will you play for me?” I distinctly remember my own father coming in as a kid, sitting on the couch and asking me that question. I was thrilled that my dad wanted to hear me play and it encouraged me to practice. Even if it’s just playing a soothing song before bedtime, the more consistent the practice, the better a student will get and the faster they will improve. Practice can come in the form of entering a competition, a recital, or playing for a special occasion or holiday. As the student progresses, they will find their own pattern. A student should give themselves at least three months to warm up to an instrument. It’s like trying a new sport; you have to give yourself time to adjust. Then, if they are really fighting against an instrument that they are learning, it’s okay to try out another. That is one of the reasons why the Music for Little Mozarts program is so valuable because students are introduced to many different instruments and opportunities to find their passion. Erica, what suggestions or encouragement can you offer other students that are thinking about starting a music program? ERICA: The advice I would give is to remember that learning an instrument is a commitment. It takes time, patience and hard work, but it’s also fun. Learning an instrument might be difficult at first, but as you continue to progress, you feel such a great sense of accomplishment. Mrs. Chang, what suggestions or encouragement can you offer other parents that are thinking about enrolling their children in a music program? MRS. CHANG: I think it’s important that parents gauge their children’s interest; kids have to want it for themselves. Encourage them to give it a chance if they are unsure because there is so much to gain if they do end up liking it. The reward is far greater than simply learning to play an instrument. It helps in all aspects of life. 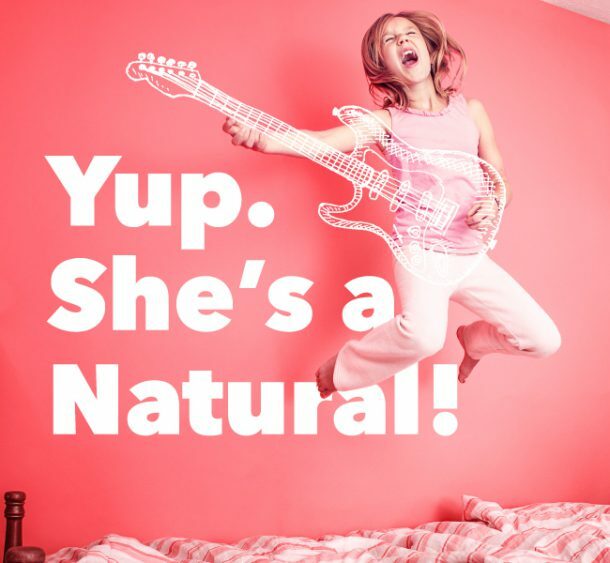 Erica is more confident, responsible, and overall happier since she started taking music lessons. Little School of Music is a great place to start and the Music for Little Mozart class is a fun, casual environment for young students. Ms. Jean, from your experience, what is the biggest benefit families can see from being involved in a music program? MS. JEAN: I constantly get feedback from parents telling me about the joy music has brought to their home and their children’s lives and how much more confident their kids have become. It’s also a great release. Some of my students say that when they get upset, they go to the piano as an outlet. Overall, families get to enjoy listening to their kids play while watching them grow and succeed in all other areas of their life. Interviewing Erica and her supporters was an honor. It is clear that as Erica continues on her musical journey, she will continue to thrive and succeed at any endeavor she puts her mind to! You will also receive the latest school updates, event invites, and musical tips and tricks from Little School of Music!